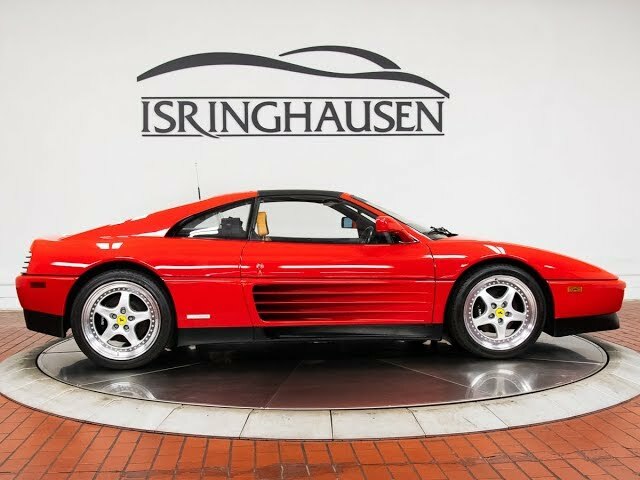 This beautiful 1992 Ferrari 348 TS is a genuine 2-owner vehicle with the previous local ownership dating back over 21 years. It arrives in excellent condition with just over 20,100 miles and recent comprehensive engine out service including new water pump, coolant hoses, thermostat, cam seals, O-rings, timing belt & tensioner, air filter, fuel filter, drive belts, A/C recharge to 134A, valve adjustment and more. It comes with factory Ferrari Luggage (with covers), Original Books, Window Sticker, Car Cover, 348 Collector VHS Tape and genuine Speedline Wheels which compliment the beautiful and classic Rosso Corsa (Red) exterior and immaculate Beige interior. Powered by a 3.4L naturally aspirated V8 engine and gated manual shifter, this 348 offers the classic driving dynamics that drivers have yearned for as electronics continue to take over the modern supercar. Contact a Pre-Owned sales specialist today to take advantage of this excellent example by calling 877-362-9715. Isringhausen Imports is Central Illinois' premier new car, used car and certified pre-owned (CPO) dealership for quality BMW, Porsche, Volvo and Mercedes-Benz vehicles. At Isringhausen Imports, we have become a leader in the industry by working each day towards the greater good of our customers, our fellow employees, and our community.